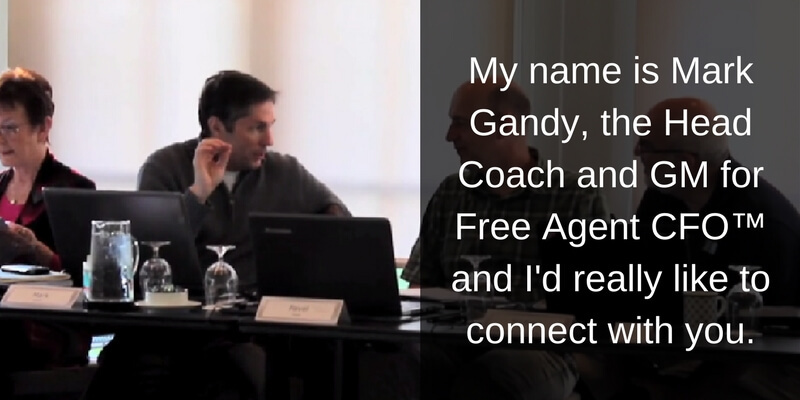 I truly enjoy hearing from friends and visitors here at Free Agent CFO™. I do run a full-time CFO practice, so I’ll always do my best to respond to you in a timely manner. There are several ways to reach out to me. My favorite social media platform is LinkedIn. If ask for a connection request, drop me a line, a question or a comment. I’d love to hear from you. I’m pretty clueless on #Twitter. I mainly use it for content curation and following my favorite sport teams. I also like to reach out to authors (they do respond). I’m only on Twitter about once a day, but feel free to either connect or reach out to me there. I don’t mind admitting I’m an introvert. I will not run away from an interview, but let’s make sure I can add value to your project first. If so, I’d be glad to help out. If you would like for me to guest blog on your platform, I’d be happy to do so. Likewise, I need to make sure I can add value to your audience. My favorite guest post I’ve written to date is for FP&A Trends, and the article is entitled Three Critical Roles for Every FP&A Team. I nearly chickened out on that request because the greatest FP&A professionals in the world follow that blog religiously. I feared that I would have nothing to add to their great content. Furthermore, Larysa Melnychuk, that site’s founder, is amazing. She sets the bar high with her own posts on FP&A Trends. I only this post so that you can see how I write for third parties. Are you wanting to introduce the Free Agent CFO™ framework to your podcast audience? Likewise, reach out to me on your preferred platform, or drop me a line in the form below. Accordingly, I’m not the guy seeking to be on your platform. If I can help and support you, great. But convince me first I’m the person who can be helpful. Feel free to use the form below if you prefer. Let me know what’s on your mind, and I promise to respond within 24 hours.